Prepare your family for the unexpected. 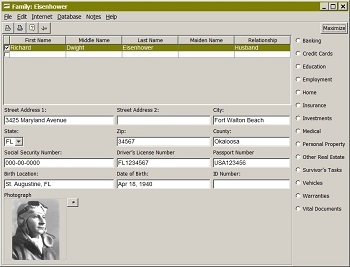 Organize your personal information, files and vital documents with Military Energency Record keeping Software. Designed by a military veteran, MERKSoftware makes deployment easier for you and your family. Their ability to cope in your absence will be greatly enhanced. The software is also a great product for veterans.